Australian businesses can now connect with renewable energy suppliers through the Business Renewables Centre – Australia, a platform that helps businesses adopt wind and solar energy. Renewable energy is a hot topic for businesses, and the BRC-A’s goal is to replace the current electricity-purchasing model. While supported by ARENA and some state governments, the Business Renewables Centre: is largely an initiative of non Government bodies, including even the World Wildlife Fund. What does the BRC-A do? Its creation was driven by many factors, mostly cost, and with wholesale and retail electricity prices at record highs, the Business Renewables Centre is making it easier for businesses to adopt renewable energy. 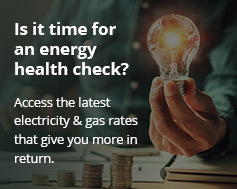 BRC-A is helping businesses connect with renewable energy suppliers. With renewable prices falling – and predicted to continue on that trajectory – the BRC-A believes the cost of solar and wind generation will “out-compete” coal by 2030. The BRC-A claims it is here to help Australian businesses unlock the power of renewable energy, but first they want to improve understanding of the market. Despite that, many big businesses are already enjoying the benefits of renewable energy. Mars Global, Telstra and Carlton United Breweries are among those dubbed ‘first mover’ organisations. The BRC-A team is made up of many renewable energy experts. Jackie McKeon and Monica Richter come from the WWF-Australia Low Carbon Futures Team. And Christopher Lee is CEO of Climate-KIC Australia. The decision to set up an Australian arm of the platform came just a few years after the success of the BRC in the US. The Rocky Mountain Institute created the BRC to “bring together corporations, project developers and intermediaries”. It successfully broke down market barriers to complex power purchase agreements (PPAs), and connecting business with renewable suppliers. In addition to making connections, the BRC-A also offers information on the renewable energy market. It does this by educating businesses with primers and guides. The team also hosts conferences where renewable purchasers share their experiences. The goal is to teach Australian companies how to complete their first deal “faster, easier and better”. And for long-term members, there are ongoing market intelligence updates through the BRC Marketplace. While at times a complex market, the BRC-A also hopes more corporates will soon be adopting renewable energy at the same rate as residential renewables.